Just as this issue of the magazine was going to press, the TBA held its annual awards and AGM in Newmarket. Julian Richmond-Watson’s leader outlines the proposal made at the AGM for a new £7.75 million scheme to support British-bred and -sired horses – a necessary step, the association believes, in order to deal with the “seismic crack” in the British breeding industry. A vivid picture of the woes facing the smaller breeder in this country was painted by TBA board member Philip Newton, who presented members with a “snapshot” of the latest Economic Impact Study conducted by the TBA. The full report of this is yet to be published but the overview has been enough to give the board cause for concern, not least the fact that since the last study was underatken in 2014, the percentage of breeders operating at a loss has risen from 45 to 66, with breeders overall in this country making an average of 2% return on capital investment. So why do we do it? That’s probably a question we’ve all asked ourselves at some stage. On some days the answer is hard to find, but in those precious few moments when all goes to plan, when your horse wins a race at whatever level, or your mare’s stock finds favour with buyers, then it’s right there staring you in the face and it’s a feeling that’s hard to match. It probably takes a certain kind of dreamer to become a thoroughbred breeder in the first place, but in order to keep the dream alive for enough breeders to continue to supply the racing industry with racehorses then clearly something has to be done to stop many smaller operators from haemorrhaging money. I don’t buy into this supposed need to fill the demands of British racing’s bloated fixture list. 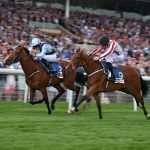 The horses are there – just ask any breeder who hasn’t been able to secure a spot in a yearling sale in the last few years, or, in being granted a slot, has taken a horsehome unsold. The problem remains that there simply aren’t enough potential buyers for these horses. So, yes, we must encourage breeders in Britain not to stop doing what they’ve done so well for centuries, but more importantly we need to keep trying to find a solution to the problem of a dearth of owners. A fervent hope is that, if the scheme is ratified and can get underway in 2019 as planned, then it will not only encourage more breeders to put a horse in training but also more potential owners to seek out that GB suffix at the sales. Britain’s Flat heritage remains strong, and recent stars such as Frankel, Cracksman and Enable have helped keep the flag high on the mast. There is also growing confidence in the British National Hunt sector, which is still minnow-like in comparison to Ireland and France, but nevertheless capable of producing the likes of Thistlecrack, Sizing John and Cue Card. This buoyancy has doubtless been helped by the introduction of the Mare Owners’ Prize Scheme (MOPS), an initiative created by the TBA’s National Hunt committee to increase the demand for jump-bred fillies at the sales. It is working, and let’s hope that the British-bred Premium Scheme is given a similar chance. Philip Freedman has done more than his fair share to support British breeding and racing over the years and he was thus an extremely popular recipient of the Andrew Devonshire Bronze, the most prestigious prize at the annual TBA awards. He follows his father Louis, not only as a winner of the award and a stalwart of the sport, but as an owner-breeder of great regard. The famous Cliveden Stud silks were last month carried to victory in the Lancashire Oaks by Horseplay, while three-year-old Melodies, representing the family of the Freedmans’ Derby winner Reference Point and Eclipse winner Mount Nelson, posted her first victory at Doncaster just five days later. 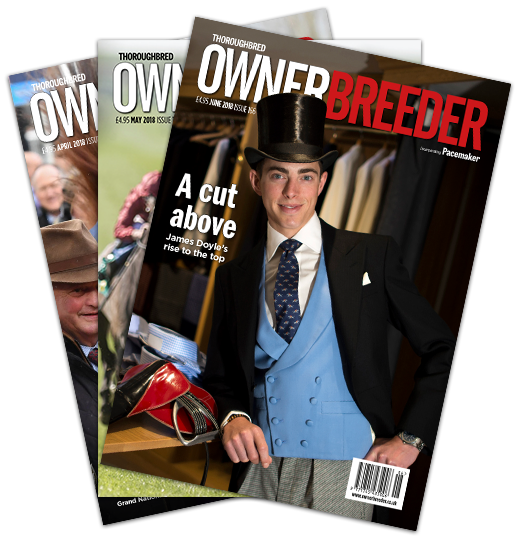 The TBA Chairman at the time this magazine was first published in September 2004, Freedman is currently Chairman of the Horsemen’s Group and of the British European Breeders’ Fund. We congratulate him not just on his richly deserved award, but for continuing to bring a voice of calm and sense to the often heated political debates within the bloodstock industry.